Forget retirement, the 80-year-old TV staple is prepping a new talent show concept. 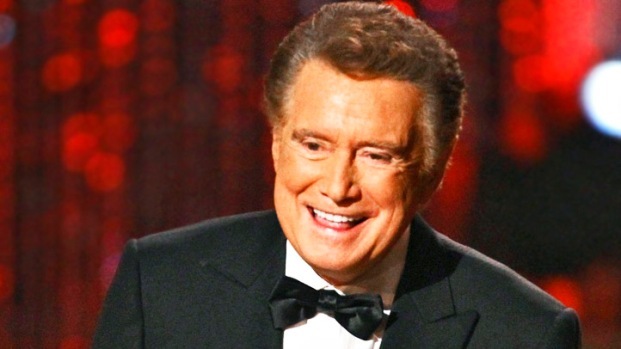 Regis Philbin Talks Preparing For His Last Day On "Live!" Retirement? Regis Philbin doesn't know the meaning of the word. Just days after ending his legendary run as host of ABC's "Live! With Regis and Kelly," the 80-year-old is already moving on to his next TV venture. In an interview with The New York Post's Page Six, Philbin talks about a new talent show concept he's working on alongside former "Live! With Regis and Kathie Lee" director Barry Glazer. Philbin claims that, despite the rumors, he never intended to leave show business following his decision to step down from the daily grind of "Live!," and quipped that he's "not retired yet. I'm just moving on." A television talent contest wouldn't be new to Philbin, who hosted the inaugural season of NBC's "America's Got Talent."